You ask me about my vocation. To be honest, I have not had any revelation! And the more I try to find my older memories, I always find myself in front of a deep conviction gradually matured, which is expressed when the parish priest of my village asked me to enter the minor seminary, I was very happy. An anecdote of when I was a seminarian? With all my heart, because it was crucial for me, it was back in 1947, the first trip of the relics of my favorite Sainta, Teresita of the Child Jesus, which we received in our minor seminary in my diocese of Angers, in western France. It was the time when I had to decide whether or not to enter the major seminary. I prayed fervently Teresita, asking her to tell me clearly what to do ... and then I got - I would not say a revelation - but as a confirmation of the evidence that has been forever. 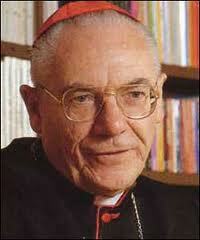 You were one of the first bishops ordained in the Pontificate of the Blessed Pope John Paul II. What can you say? In fact, I received the announcement that was entirely unexpected, by the Apostolic Nuncio, that Pope John Paul II, it was the beginning of his fruitful pontificate, wanted me to be the auxiliary bishop of Paris, in my capacity as Rector of the Institut Catholique de Paris to signify the presence of the world of culture in the bosom of the French Bishops' Conference. 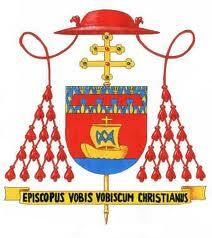 What is the message in 'Episcopus Vobis Vobiscum Christianus'? Very simple! I Repeat the words of Saint Augustine: "I am a bishop for you, but first I am a Christian with you!" In which year did happen your first meeting with Karol Wojtyla? 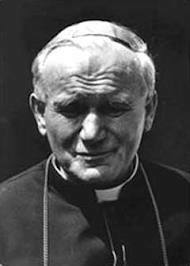 It happened in the early sixties , I was a young collaborator of Pope Roncalli in the Secretariat of State and the young Archbishop Karol Wojtyla came from Krakow to meet a young priest who worked in the French Section of the Secretariat of State, as at that time, the correspondence with the Polish bishopswas performed in French. What do you remember of that particular that meeting? 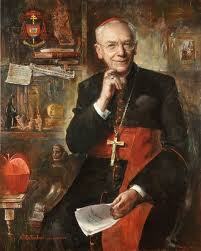 I discovered a young Bishop, profoundly priest, with great love for the Church, with strong thoughts, judgment, with a fine sense of humour, a very broad vision of the Church and the World, with an unmatched openness, a culture nourished by very deep readings, thanks to his wonderful and sound knowledge of languages, and a lively curiosity of spirit, always alert. Eminence, How do you see the role of the family for the discernment of a vocation? It is of great importance. Satan. In hebrew Sathan: "The opponent", indicates a real power that opposes God and the salvation of souls. Many names are given to him : the accuser, adversary, belzebut, belial, devil, dragon, enemy, Murderer, malicious, untrue, seducer, temptor. How can one convince a skeptic that the devil truly exists? 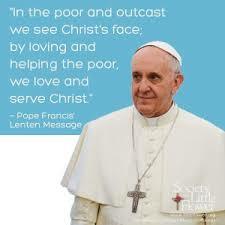 Just read the Gospel and reflect on the current state of the world. What do you remember about your elevation to cardinalate? How did this news arrived to you? I got a phone call from the Secretariat of State, saying that Cardinal Casaroli wanted to see me – it was a quite natural matter for a Head of Department - but what was totally unexpected, therefore, and under the seal of secrecy, Iwas that he announced that the Pope was going to create me ​​a cardinal on the Solemnity of Pentecost. How did the culture changed over the years ? I would say, in a word, we have lost the suitcase of transcendence and we are in a culture apart, with horizons severed. Your Eminence, was also President of the Pontifical Council for the dialogue with non-believers from 1985 to 1993, the year of the merger of this Council with that of Culture, and even for a short spell, President of the Pontifical Council for the Inter-Religious Dialogue. How can one dialogue today with those who are very far from God and those who are not Christians ? I would say, to talk, you always have something in common with the other party, at least a common language and a common concern, despite appearances to the contrary. It was precisely the intent of the Second Vatican Council in the Pastoral Constitution Gaudium et Spes: participate with the vision of man and of the world that comes to the Gospel and lived in the Church. What was served from the "Spirit of Assisi? When Pope John Paul II invited religious leaders from around the world on October 27, 1986, it was for a day of prayer for peace in the world. The Church invites everyone, especially the followers of different religions to work for a lasting peace with the basic attitude of prayer, because "there is another dimension of peace and another way of promoting it which is not the result of negotiations, political compromises or economic bargaining. But it is the result of prayer that, despite the diversity of religions, expresses a relationship with a supreme power that surpasses our human capacities alone "(Opening Address at the Basilica of Santa Maria degli Angeli, 1986). In the past there were discussions on the defense of the crucifix in public places, or more generally the issue of religious symbols. What can you comment? Without doubt, and so the European Supreme Court has spoken demonstrating peacefully the millenary identity of a continent, and for all, Christians, followers of other religions and non-believers, an eloquent sign of peace. 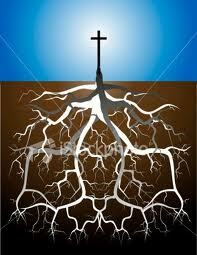 We must defend the Christian roots. But how should we act? The most important is undoubtedly experiencing them and implement them. Eminence, what can you comment about the ‘Arab Spring'? Certainly, with a very positive start, but has also become problematic. Everything depends on the sense of responsibility of one or the other to ensure that all the peaceful use of human rights, begin with religious freedom. 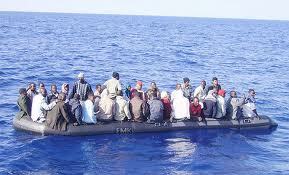 "One needs to fight against poverty"
As for illegal immigration, how can a State to help these refugees ? Basically, one needs to fight against poverty and the denial of human rights that are the fundamental reasons for this tragic phenomenon. Eminence, what are you doing today? 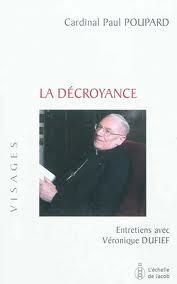 I have just finished two books: La décroyance and Le Concile Vatican II. I am preparing three other ... Les insurgés de Dieu: le combat des Vendéens pour la liberté de la foi, Le concile, mémoire of a cardinal, and the translation into Arabic of my Dictionary of Religions (Mondadori).